Fried mahi fish bites just might be the best dang things you’ve ever popped in your mouth. Crispy on the outside, tender on the inside, perfect for kids and adults alike. 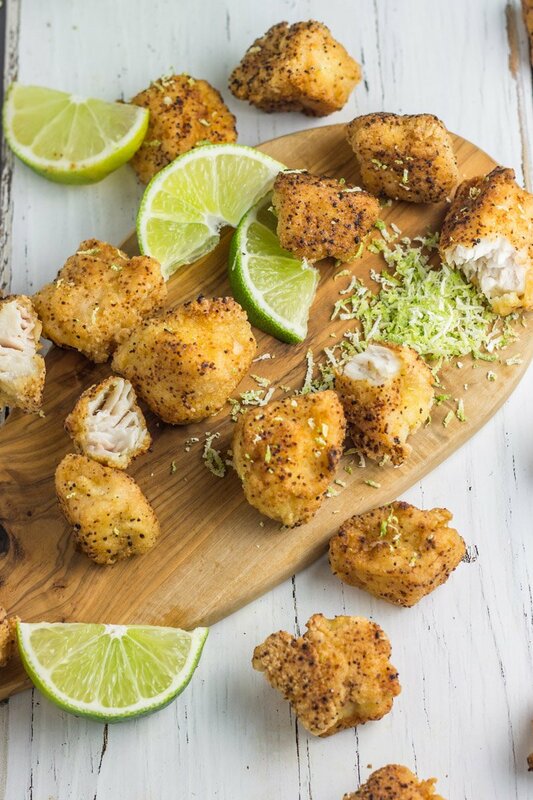 These paleo and Whole30 compliant fish ‘poppers’ are a perfect lunch, dinner, or appetizer. My sweet little preschooler has been calling me “momma princess” lately. Heart melts every.single.time. I’m pretty sure he’s being heavily influenced by his female playmates at school because princess things have never been around this home filled with trucks, trains, tools, and tractors. It’s not like I’ve been against ‘girly’ toys…in fact, we have a doll that we often coddle and kiss. But it’s just never been a thing for these rough-and-tough boys. I have yet to explain to him that my favorite princess of all time is (and always has been since 1990), Ariel. The Little Mermaid is a pretty untraditional princess story, but none-the-less, it’s the best. Hands down. Maybe that’s why my love of fish is so strong. So many “Under the Sea” rehearsals in front of my stuffed animals, so many fantasies about having a scaly metallic tail, so much rewinding on that VHS tape, it’s actually quite amazing it never burned out. I’m not sure if these fried mahi fish bites would be considered cannibalism if I really am a momma princess channeling my inner Little Mermaid fantasy since five years old, but if so, sorry I’m not sorry. Because this recipe is hands-down one of my FAVORITE Physical Kitchness creations to date. 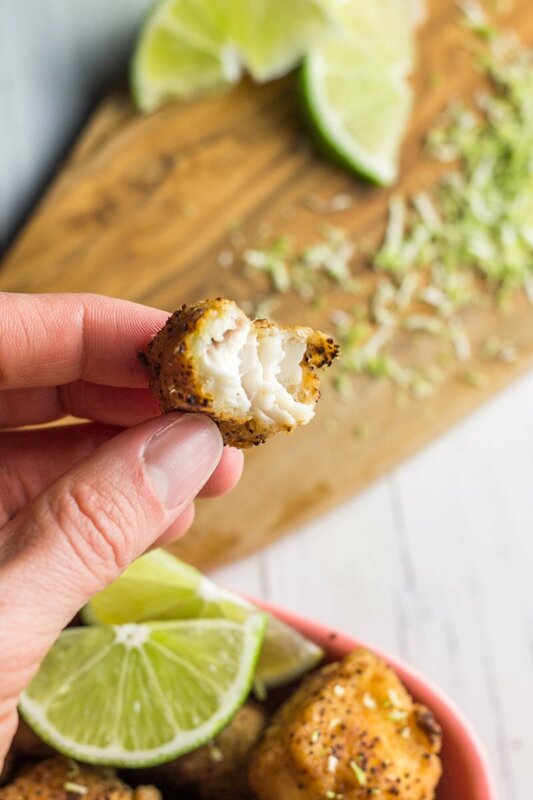 These paleo, grainless, Whole30 compliant fish bites are fried to golden perfection, and SO easy to make in minimal time. Plus my kiddos LOVE them. Not just because they’re made by a princess, because they’re that good. 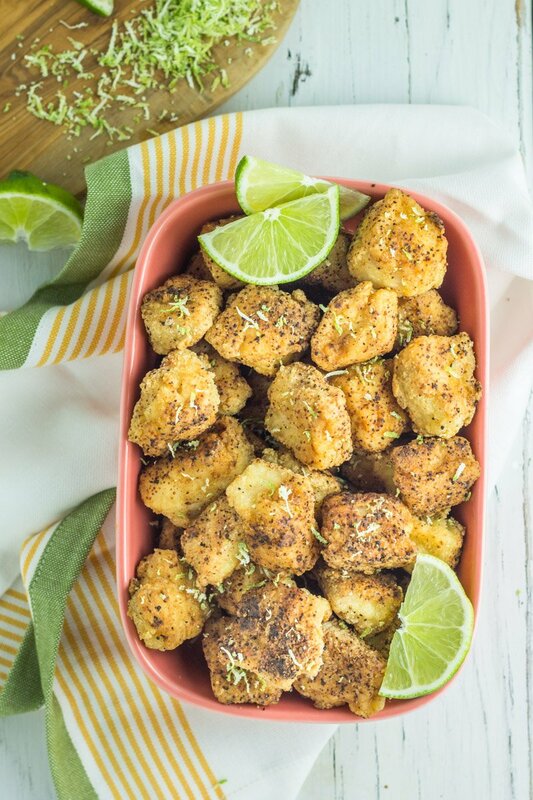 Crispy on the outside, so moist and tender on the inside – I love using mahi mahi because it holds together beautifully when frying these little babies, and it’s easy to find! No need to find a local fish supplier and buy fresh-off-the-boat, I simply purchase these Orca Bay Mahi Mahi filets at my local grocer, or pick up a package of the private label brand from Costco. It’s easy to thaw the fish then get frying! Love fish as much as I do? 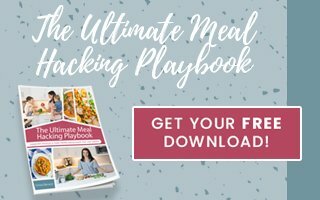 Try this blackened fish taco salad bowl, this white bean and potato salmon chowder, these sweet onion teriyaki salmon packets, or this 15 minute paleo orange chili shrimp recipe. 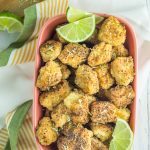 These Whole30 compliant, fried mahi fish bites are grain free, paleo, and kids love them! I havne’t tried it but you certainly could! This looks great but we have a nut allergy … wondering what other flour might work? You’re welcome over any time! Hi! Can the tapioca flour be substituted with say coconut flour or another type of flour? You could try coconut flour! Arrowroot would work well! I made the Mahi Mahi last night for dinner with guests. It was incredible! I fried the whole filets. Spot on seasoning and crunch and no one could tell there were no breadcrumbs involved. I’m lucky we have a friend who deep sea fishes and keeps our freezer stocked with great fish. That’s so awesome! Thanks Ellen! I made this for my family tonight and they turned out AMAZING!! Everyone raved about them, including my pickiest eater. This recipe was fantastic! Tried it for the 1st time last night with cod as we couldn’t get Mahi Mahi this time of the year in Alberta, Canada and it turned out amazing. These are incredible and easy to make. I had these on our menu last night and I was running late. My husband fully executed them – and he has never made anything gluten free like this. Thank you so much for this recipe! Go hubby go! I’m sooooo happy to hear this! Thanks so much Debbie. Glad you enjoyed this recipe! I made these this week with a few tweets – I used cod and since hubby will only eat fish if it doesn’t taste like fish, I added Cajun seasoning to his. He LOVED it. Also, I added some avocado oil to the coconut oil cuz the coconut oil seems to be absorbing into the fish pretty fast- even with the heat fairly high. Served it with a compliant reach with chopped capers added. Roasted procuito wrapped asparagus on the side. Such awesome feedback. Thanks for sharing Traci! Any suggestions on sides to serve/pair with this? My Whole30 Pina Colada Coleslaw would be perfect! Crispy and flavorful yet simultaneously simple in the best way..And perfect that it’s whole30. Sounds heavenly!! So glad it was a hit! 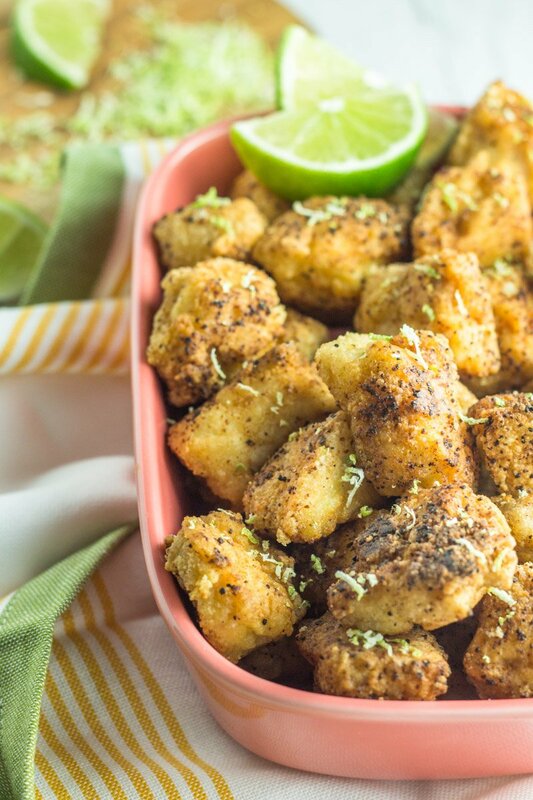 Used this recipe tonight (-lime)with chicken tenders cut into 1.5″ pieces. These were amazing. I didn’t have onion powder so I substituted some garlic powder and chili lime seasoning from Trader Joe’s. Amazing!!!!! Thanks for the feedback Chrissy! I made these this week for my toddler and husband who “don’t eat fish”. They couldn’t get enough! I didn’t have Mahi so I used tilapia and substituted oat flower for the almond flower. Incredible flavor. I will be making this again soon. LOVE THIS! Glad it’s a winner! Whoa! These are simply delicious. Amazing flavor and texture! 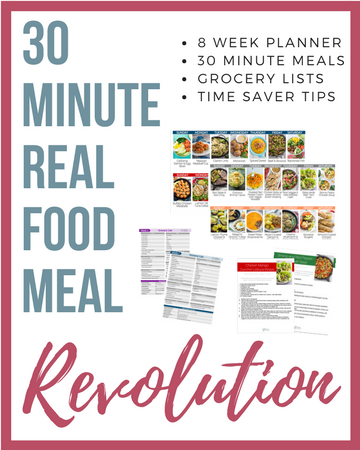 I am definitely putting this recipe in my regular meal rotation list. Thanks Chrissa!